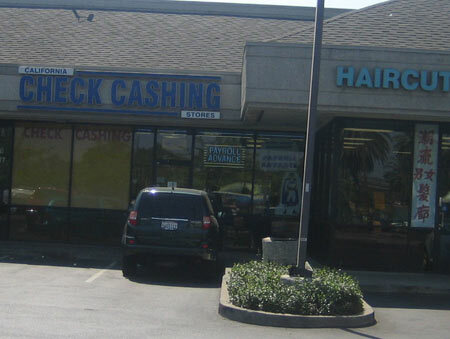 Did you know that there is a check cashing place on Folsom Boulevard, between Mather and La Loma, which is not next to any liquor store? It is sad but true. How can this lonely outpost possibly hope to survive out here, by itself, on a flat slab in the middle of a dry city block? 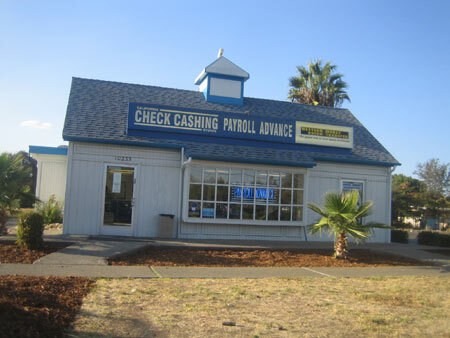 I'm sure it seemed like a good idea at the time, to transform a shuttered Long John Silvers fish place into a check cashing outlet, but someone forgot to that turning checks into cash is only half the battle, because you CAN'T DRINK CASH. The Money Mart on Stockton Boulevard near Fruitridge didn't make this mistake. Oh no. 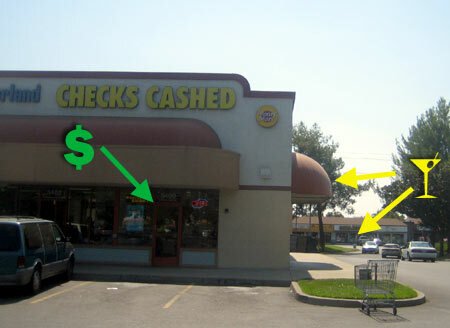 Have you ever noticed that check cashing places are often situated close to liquor stores? I wondered, was this actually common, or was it a simple misperception? There was only one way to find out. I decided to measure the distance between them. I decided to find out, by visiting all of the check cashing places I could find, and measuring how many steps it was to the nearest liquor store. And another one around back. 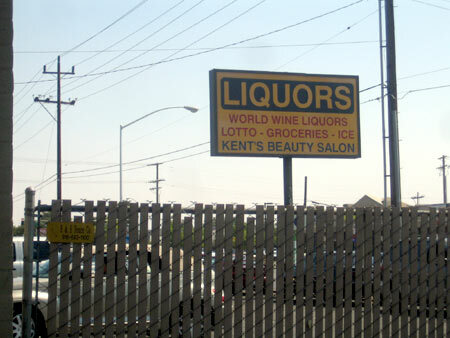 It is known as World Wine Liquors, and is 109 steps from the check cashing place..97 steps if you jump this fence. 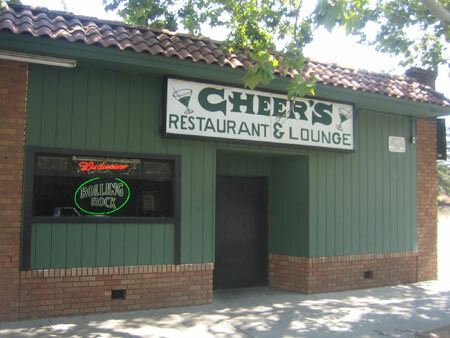 This check cashing place on Broadway and Franklin isn't technically next to a liquor store, but it is 104 steps from Smart & Final, and 106 steps from the welcoming barstools of Cheer's Restaurant and Lounge. 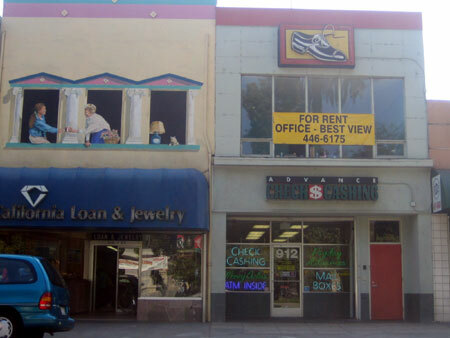 A bit further down Broadway, at 20th street, another Money Mart check cashing place is 240 steps from ice cold beer at C&B liquors. 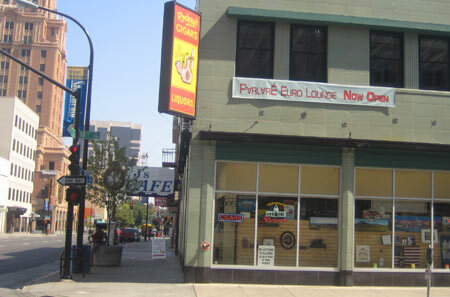 On J Street near 9th in downtown Sacramento, Advance Check Cashing is 104 steps from Rodney's Cigar's and Liquor (see photo below).